Honda CEO Takanobu Ito: No rescue for Takata. TOKYO (Bloomberg) -- Honda Motor Co. said it has scrapped its target of selling 6 million vehicles annually by 2017 because the pressure to reach the objective contributed to the quality lapses that led to record recalls last year. The carmaker also won’t set a global sales target in its next midterm plan, the Tokyo-based company’s CEO Takanobu Ito said today. Honda cut profit forecasts for the second time in as many quarters last month after recalls tied to flawed Takata Corp. airbags and the new hybrid systems in its best-selling Fit compact car and Vezel SUV. The carmaker’s worst quality issues in decades have derailed plans to introduce new models, led Ito to take a pay cut and triggered the projection of Honda’s first profit drop in three years. Beset by the biggest quality problems under his stewardship, Ito, 61, has said he will bring the company back to basics and signaled that Honda will no longer pursue business expansion as its main target. He said today that it has no intention of rescuing Takata financially and will work with the company to identify the root cause for the air-bag flaws in order to end the crisis. Ito has sought inspiration in Honda founder Soichiro Honda, who used to stand on a tangerine box to exhort employees to make good products, by replicating the ritual with workers in November in Japan. Honda called back 5.4 million vehicles last year in the U.S. to replace airbags made by Takata, in which it has a 1.2 percent ownership stake. The devices can rupture during deployment and propel metal shards at passengers and have been linked to four fatalities in the U.S. and the deaths of a pregnant woman and her unborn child in Malaysia. While the Takata recalls affected at least nine other carmakers, scrutiny of how Honda responded to the flaws led to the U.S. government slapping the company with a record $70 million fine for failing to report more than 1,700 death and injury incidents to regulators over 11 years. Honda’s quality problems go beyond the defective airbags. The carmaker has called back the Fit -- its top-selling model -- five times since its introduction in late 2013, and recalled its Vezel crossover three times. Those fixes delayed the roll-out of other new vehicles by as long as six months. Tetsuo Iwamura, Honda’s executive vice president, said the recalls have led to a cut in domestic sales forecast by 40,000 units in the current fiscal year. 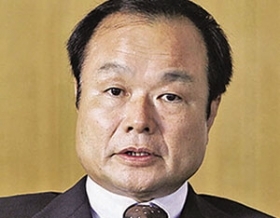 After the fifth Fit recall, Honda created a new position of executive officer in charge of auto quality and appointed Koichi Fukuo to take charge. Fukuo will concurrently serve as an executive vice president of Honda R&D Co., Honda’s largely independent research arm, to strengthen quality assurance within the development process, the company said at the time.